The following should help you with most questions regarding trekking in Nepal. My 15 days in Helambu, Gosainkunda, Langtang Valley, and Tamang Heritage were some of the best hiking experiences of my life: incredible mountain views, tough climbs, unforgettable sunrises, friendly people, and interesting villages lost in time, were among the highlights. Trekking in Nepal is undoubtedly popular, attracting thousands of foreigners every year, but well worth the effort. If you choose the right trek in the right season, you can avoid the heaviest crowds. What is the best season for trekking in Nepal? Where can I go trekking? 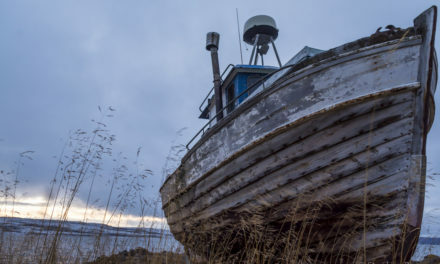 Is it safe to trek alone? How do I get fresh water? Will I see some big mountains and spectacular scenery? Where can I buy hiking / outdoor gear? How can I best avoid the crowds? In general, trekking costs about $20 US per day. Budget for a little more, just in case. Buying any alcohol will add a considerable amount to any trek. As I mention below, the food costs rise as you ascend in elevation. I spent about $15 on average per day plus my guide fees. A good guide costs about $25-30 per day, which you can split among your group. Your accommodation each night will only cost about $1-2 because the tea house makes its money on the food. 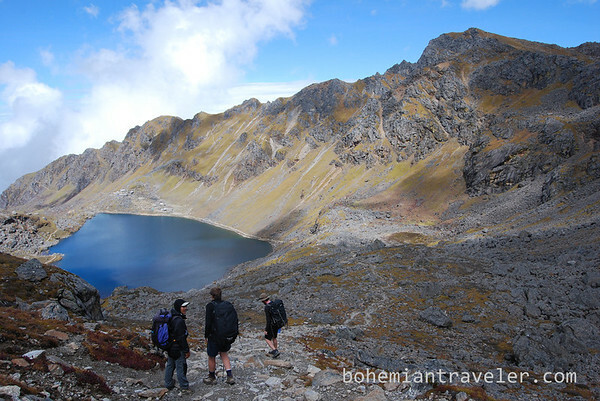 October and November is the primary trekking season for most treks. This means the biggest crowds, but also the clearest skies and best weather. September and the spring (March, April, May) are good alternatives. The weather is still favorable, you can usually catch good cloudless views in the mornings, and the crowds are lighter. December and onwards see cold temperatures and the summer months (June, July, August) bring rain and leaches. I trekked in September in the Langtang Valley and consider that an optimal time. 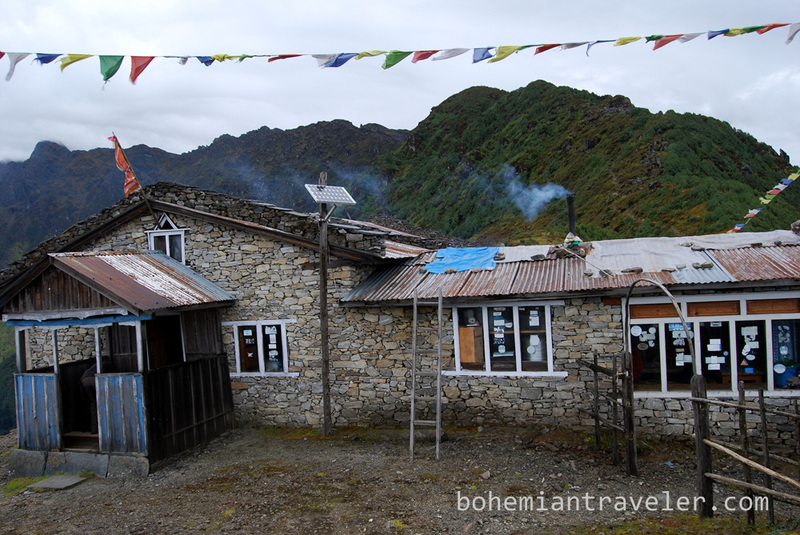 Most trekking in Nepal is considered “tea house” trekking. This means you sleep in simple hiking lodges. 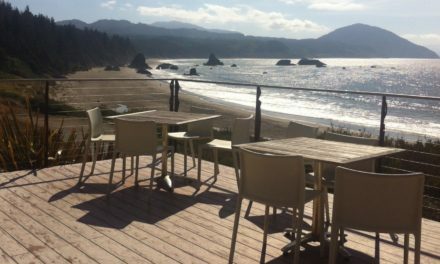 Tea houses range in quality, but most are well looked after. Most have squat toilets and bucket baths. Some have solar-heated hot showers and other will heat up water on a wood stove at an extra fee. However, the beading may not always be clean. Therefore, it’s a good idea to carry a sleeping bag or at least a sleeping bag liner. A typical tea house along a trekking route in Nepal. You don’t need a sleeping bag, but you might feel more comfortable with your own bag. Tea house accommodation bedding isn’t always clean. But they do have warm blankets if you are concerned about being cold. I carried a silk sleeping bag liner during a late September trek and was comfortable. But if I were trekking later in the season, I might like a warm sleeping bag. You don’t need a guide, but you may want one. They can be helpful not only for keeping you on the right track, but also to assist at the tea houses and smoothly facilitate any cultural encounters. I’ve both used a guide and trekked alone, and both were good experiences. Anyone in remotely decent health with even a little bit of hiking experience should not need a porter. You won’t be burdened with the weight of carrying your own tent and food, so it is feasible to pack quite light 5-15 kg. This should enable you to carry your own weight. However, if you do decide to get a porter, remember to look out for their safety by only giving them a reasonable amount to carry. Be careful of getting your porter through large trekking companies—the guides at these companies exploit the porters by giving them double loads, while underpaying them. 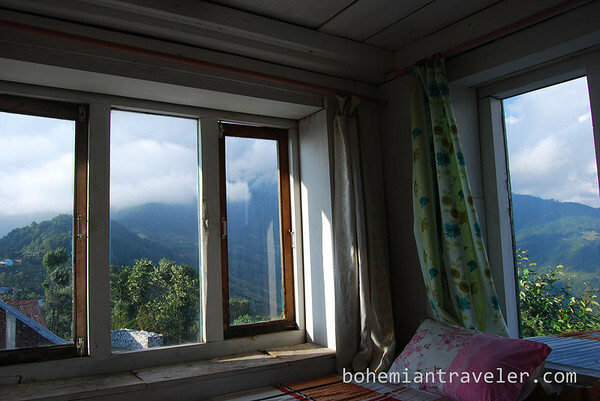 As you get to higher elevations, food at the tea houses becomes more expensive. A meal of dal baht can reach 500 rupees ($5 US) at the highest of tea houses. This may not seem like a lot, but it’s expensive for Nepal, where a Dal Baht usually costs about 120 rupees ($1.20). Throughout the trek, figure on $3-5 per meal. The reason for the added expense for food is because much of the ingredients must be carried up by human labor. Buying alcohol will severely increase your budget. Hiking down to the lakes at Gosainkunda. 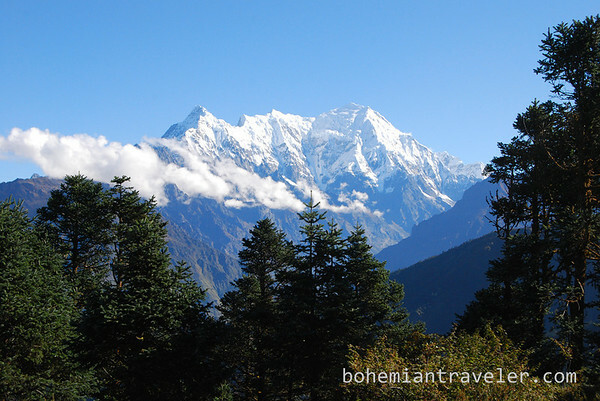 There are three main regions for trekking in Nepal: Annapurna, Everest, and Langtang. Annapurna Circuit and Everest Base Camp are two of the most popular treks. 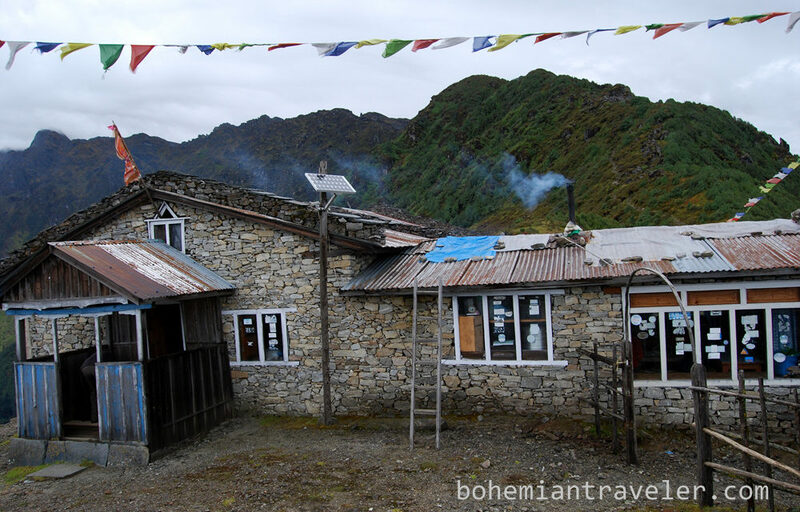 Langtang Valley is an excellent alternative, with fantastic mountain views and far fewer hikers. There have been attacks on solo hikers in recent years. I still wouldn’t consider it dangerous to trek alone, but it is always wiser to hike in a pair or group. If you are alone, it is usually easy to find people to walk with every morning at your tea house accommodation. I used the site Trekking Partners to find a small group to hike with and it worked quite well. I hiked the Tamang Heritage Trek solo, and never felt in danger at any time. To consider buying bottled water through your whole trek would be foolish. It’s unnecessary, costly, and contributes to Nepal’s solid waste problem. There is fresh water available from streams and springs along the way, or you can fill up at the tap in your tea house. Most people treat the water with chlorine or iodine, but I met a few hikers who drank directly after filling up. Chlorine drops are available at local pharmacies for very cheap. It depends on the specific trek, but generally, trekking in Nepal necessitates climbing, descending, and may include routes that pass through high elevations. Each person’s body is different. As a general rule, if you ascend gradually, you acclimatize better. Another tip: hike to higher elevations during the day and descend to sleep for the night. If you experience signs of Altitude Sickness (headache, trouble sleeping, etc.) go to lower elevations immediately. The only sure way to feel better is to descend. Also stay hydrated and eat enough calories. I did! Most treks will afford nice views of the Himalaya. Personally, I was moved to tears viewing some morning’s sunrises (especially at Laurebina on the Gosainkunda trek), it was that spectacular. There are a tremendous amount of outdoor gear shops in Thamel Kathmandu as well as in Pokhara. You’ll find both real brands and knock-offs. Prices and quality varies widely, but in general the clothing and equipment is inexpensive. I bought everything from thermal underwear and a silk sleeping bag liner to water bottles and a rain coat. If you need it for trekking, you’ll find it here. The clothes you need depend entirely on the trek you take and the season. But even in the warmer periods, it does still get cool in the high elevations, especially at night. You’ll need at least something warm to put on after the sun goes down no matter when you go. 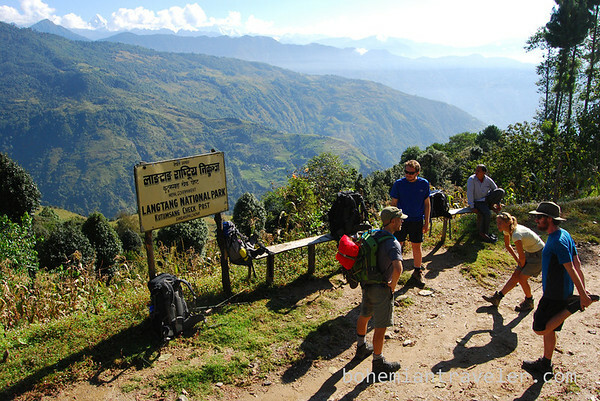 One suggestion that I can make is to try the treks in and around the Langtang Region (see my photos below). They are not as popular as Annapurna and Everest Base Camp, but include some spectacular mountain scenery and interesting local culture. I was extremely happy hiking in around Langtang National Park for two weeks. Consider it. Glad you found some trekking partners, Stephen, and thanks for sharing your advice with others. There are still a surprising number of trekkers that show up in Thamel that need this information. I dig all your photos from hiking! I only trekked the EBC area while I was in Nepal, and these photos make me think I should have tried harder to see even more of the country.